Everything around you is made up of atoms. In the late 1930s, it was discovered that some particularly large atoms can split in two (or fission), releasing a shockingly large amount of energy. When these atoms were arranged properly in a machine, one splitting atom can cause nearby ones to split, creating a chain reaction. Such a machine is called a nuclear reactor, and can convert the nuclear energy into electricity, shaft horsepower (for submarines, etc. ), neighborhood heating, or lots of other things useful to civilization. Today, nuclear power plants worldwide produce enough electricity to power over 200 million average homes. Because nuclear fuel is so energy-dense, it’s possible to keep all the waste accounted for and out of the biosphere, in strong contrast to fossil fuels which put much of their wastes into the air. Also, splitting atoms doesn’t make carbon dioxide. One loading of fuel lasts 18+ months in a reactor, and they generally operate for that long non-stop. No cloudy days or calm nights will prevent nuclear energy from being delivered to those who depend on it. We know of enough nuclear fuel resources to power the world for thousands of years with advanced reactors. Even with conventional reactors, peak uranium is far off. Humans use a lot of energy, and we’re using more every day. Between 2000 and 2010, the world total energy consumption rose by an astounding 29% . Choices about our consumption of energy are fundamental to the primary geopolitical and environmental struggles of our day. Nuclear energy is a strong candidate for supplying our energy while alleviating these struggles. When heavy atoms fission and release energy, the two smaller atoms remaining (called fission products) are often left with some extra energy to give off. This energy is released over a period of time (the longest-lived waste lasting 100,000+ years) in the form of energetic particles called radiation. The radiation is very dangerous and must be kept isolated from the biosphere. We have not yet agreed on what should be done with this high-level nuclear waste. We know of reasonable options to deal with nuclear waste safely. We have good experience with deep geologic disposal in salt deposits that were formed 250 million years ago. Research in deep borehole technology is also looking promising. Finally, if we close the fuel cycle and recycle spent fuel, then it decays to safe levels in several hundred years rather than hundreds of thousands. The radioactive fission products are hottest when a reactor first shuts down. In effect, you can’t shut a reactor completely off. This decay heat must be cooled or else the containment structures that hold the fuel and waste can breach, releasing radiation into the biosphere. Accidents at Fukushima and Three Mile Island were caused by this effect. Unstable reactor design and operation at Chernobyl led to a power excursion and widespread dispersal of radioactive material. So, people worry about reactor safety. Nuclear energy has actually saved 1.8 million lives by displacing air-pollution related deaths that would have occurred had fossil plants been built instead of the clean-air nuclear ones . This includes the health effects of the nuclear accidents. So they’re like airplanes; when one goes down, it’s a major disaster and huge story, but the reality is that nuclear reactors are one of the safest ways known to produce energy. And advanced designs can make them even safer. The first application of fission was as an atomic bomb. While nuclear reactors and atomic bombs are very different machines (and a reactor can never explode like a bomb), there is some technology overlap, especially in fuel cycle facilities like enrichment and reprocessing plants. So, some people argue that having reactors around might make it easier to spread nuclear weapons. It is important for nuclear facilities to monitor nuclear material. That said advanced designs are being developed that reduce reliance on enrichment. Actually, nuclear reactors are useful for peacefully destroying nuclear weapons, and between the late 1990s and 2013, fully 10% of the US electricity was generated in nuclear reactors using dismantled ex-Soviet nuclear warheads in the Megatons-to-Megawatts program. Nuclear reactors are generally large and complex, with lots of reinforced concrete and nuclear-grade quality assurance programs. As a result, they tend to be expensive to build. Once they’re built, the fuel and operating costs are relatively cheap, but the capital cost is a major hurdle. If carbon dioxide is ever taxed as a pollutant, then nuclear reactors will become much more competitive. But there’s definitely room to improve! Research is ongoing in many venues to reduce the cost of nuclear reactors. Advanced designs and construction techniques can possibly bring costs down substantially. Like every other energy source, nuclear energy has both good aspects and bad. However, its ability to responsibly produce global-scale, 24/7, (nearly) carbon-free energy is unmatched among known technologies. Nuclear waste needs political will to be dealt with, but there are safe ways to dispose of it. As for reactor safety, while the accidents that have occurred are high profile and memorable, the actual risk to public health is very small compared to most of the alternatives. Next-generation reactor designs exist that can reduce waste, improve safety, increase proliferation resistance, and reduce costs. Even if someone doesn’t support current nuclear, it is silly for them to disregard all possible improvements. We humans have done pretty impressive stuff in the past. Of all the known energy resources, nuclear is perhaps the most passionately debated and least understood. Our goal is to explain what makes some people so excited and supportive, and what makes others so passionately opposed. There are many sides to each story. Let’s explore them. Take a look at the navigation bar on the top of the page (or click the line-icon if you’re on a small screen). You’ll find information on all sorts of relevant topics. 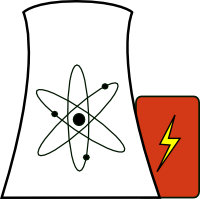 To get started, head over to the nuclear energy page for more details about the pros and cons, or check out the what is a nuclear reactor? page. One of our more unique features is a personal account of the Chernobyl accident by a mother and father of one of our contributors, who lived nearby. Here are the slides from our Nov 1, 2016 talk at Naked City. "Energy is part of a historic process, a substitute for the labor of human beings. As human aspirations develop, so does the demand for and use of energy grow and develop." "Honestly, my gut feeling is that I’m not in favor of it, but I don't know hardly anything about it." International Energy Outlook , US Energy Information Administration (2013).